Another month of 2017 has zoomed on by, and we have so enjoyed welcoming many new faces to Anchor's Rest. As our Anchor’s Rest family grows, and new faces arrive to enjoy the wonder and charm of our incredible city, it’s a true privilege for us to host such great guests. 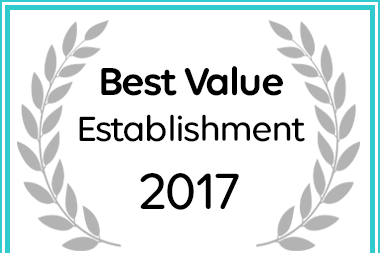 As part of our commitment towards giving our guests the very best experience possible, we’re continually looking for ways to improve your stay. Notably, however, we must always do this while working towards minimising our environmental impact, and ensuring that we’re doing everything we can to contribute towards positive change. That’s why we have, over the past five years, installed two heat pumps for water heating in our bathrooms, as this actively reduces energy consumption and makes sure you’ll always have hot water on hand. Our team also utilises the services of a local BBBEE recycling company, so – for a guesthouse of our size – we produce very little waste. If you’d like to know more about how we do this, ask Peter to fill you in next time you visit us! 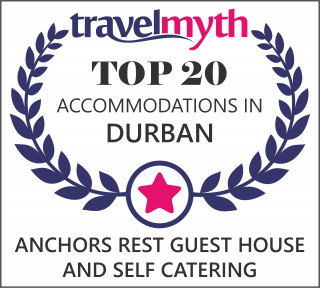 Recently, Umhlanga Tourism profiled our establishment, showcasing not only our #1 status on TripAdvisor, but also learning more about how we do things, our way, at Anchor’s Rest.Read more from Umhlanga Tourism, and us, here. As Umhlanga’s number 1 B&B/Inn in Umhlanga (thanks to you! ), we love connecting with our guests online. You can find us on Facebook, or leave a review on TripAdvisor here. We appreciate every review, and enjoy staying in touch with you, even long after you’ve returned home again.